Roller Skating is Fun and Good For You! 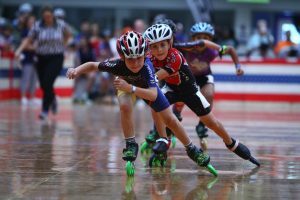 We all know roller skating is a ton of fun, but did you know that regular trips to the rink at Skate Moore in Oklahoma City can make a huge difference in your strength, fitness and overall health? When you lace up your skates and get ready to glide across our massive hardwood roller rink, you know you’re in for a good time. But let’s talk about the other benefits of skating that you don’t often notice amidst the pure fun you’re having! 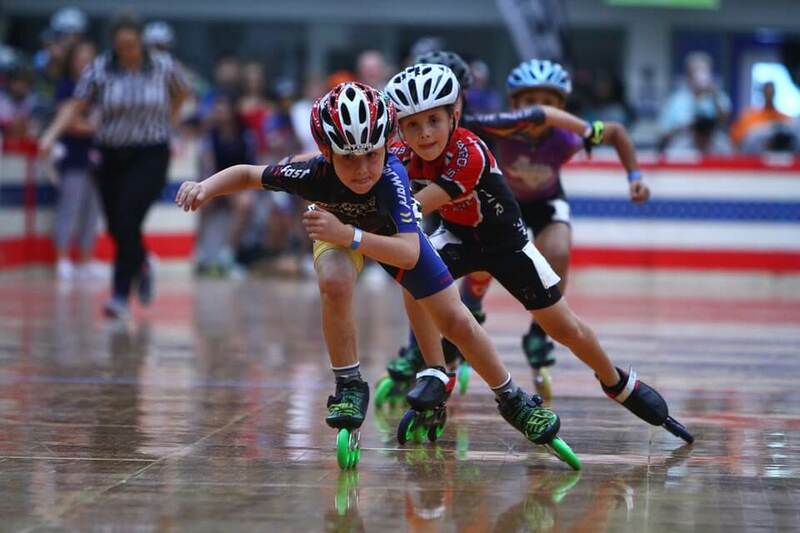 Roller skating is an excellent way to improve your balance whether you’re a kid or adult. Skating takes coordination and balance to master. Plus, putting on skates adds about two inches to your height, which can make it seem a little scary at first, but will take your balance skills to the next level. Skating at a moderate pace for 30 minutes or more will get your blood pumping! Going around the rink will get your heart rate up into the 140 BPM range which will burn fat and increase lean muscle mass. Skating for an hour can actually burn up to 600 calories. Unlike other cardiovascular workouts, though, skating is actually good for your joints! Hanging out with us at our family-friendly skating center in Moore, Oklahoma, means you can have a great time with your old clique and open up opportunities to make great new ones! The roller rink is a great melting pot where you can expect to meet new people from all walks of life which help broaden your appreciation for all of your neighbors. These are just a few examples of the really great benefits that come along with getting into skating. There are way more than what we’ve mentioned here, though. To find out what they are, roll by Skate Moore during our open skating hours and find out what it’s all about!